On Thursday 27 August, St Mary’s had our first ever summer sports day. 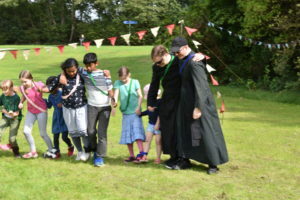 Children competed in glorious weather in nearby Victoria Park, with events ranging from long-distance running to egg-and-spoon and three-legged races, and a three-way tug of war. A few photos from the day can be seen on the Flickr page (thank you Joachim Kahn). Many thanks to the organisers for a wonderful day. We hope this will be the first of many.